found that weed control and maize yields with rotary hoeing plus in-row weeding were equivalent to an herbicide control treatment in two years, but lower in the third due to untimely rotary hoeing. 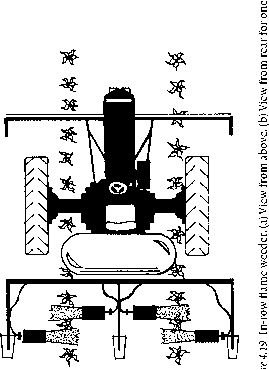 Inter-row cultivation plus row flaming provided yields and weed control equivalent to appropriate herbicide programs in maize, set onion, and cabbage, but not in direct-seeded onion (Geier & Vogtmann, 1988; Ascard, 1990; Netland, Balvoll & Holm0y, 1994). Most recent studies of mechanical weed control have focused on cultivation in conjunction with banded or reduced rates of herbicides. These integrated systems have generally performed well (Kouwenhoven, Wevers & Post, 1991; Eadie et al., 1992; Hartzler et al., 1993; Mulder & Doll, 1993; Buhler et al., 1994; Mt. Pleasant, Burt & Frisch, 1994; Parks et al., 1995; Mulugeta & Stoltenberg, 1997), with some exceptions (Snipes & Mueller, 1992; Buhler, Gunsolus & Ralston, 1993). Bridgemohan & Brathwaite (1989) found inter-row cultivation better than any herbicide for control of Rottboellia cochinchinen-sis in maize. Often, cultivation has improved weed control or decreased the impact of weeds on yield even when herbicides were applied at full rates (Glaz, Ulloa & Parrado, 1989; Steckel, DeFelice & Sims, 1990; Shaw, Newsom & Smith, 1991; Buhler et al., 1994; Mt. Pleasant, Burt & Frisch, 1994; Steckel & DeFelice, 1995; Newsom & Shaw, 1996). Even when weeds have been effectively controlled by chemicals or hand-weeding, cultivation often increases yield, presumably due to better management of soil moisture or improved root growth (Prihar & Van Doren, 1967; Russel, Fehr & Mitchell, 1971; Hauser, Cecil & Dowler, 1973; Whitaker, Heinemann & Wischmeier, 1973; Johnson, 1985; Snipes & Mueller, 1992; Snipes et al., 1992). Contrary to frequently voiced concerns that higher labor expenses make mechanical weeding uncompetitive with herbicides, analyses show that costs for the two approaches are often similar (Mulder & Doll, 1993; Schweizer, Westra & Lybecker, 1994; Mohler, Frisch & Mt. Pleasant, 1997). Moreover, integrated systems using cultivation with reduced rate or banded herbicides often provide equivalent yield at lower cost than chemical control alone (Bicki, Wax & Sipp, 1991; Mulder & Doll, 1993). Although replacement of a substantial proportion of herbicide use with cultivation is often economically profitable on a per hectare basis, cultivation is difficult on large, specialized farms because labor and machinery are often insufficient for timely operations. Forces driving such inefficiencies are discussed in Chapter 11. 1980). For example, based on data in Green (1987) and Clements et al. (1995), two rotary hoeings plus two inter-row cultivations in maize requires 585 MJ ha1 of fuel, whereas a typical herbicide program of 2.2 kg ha1 of metolach-lor plus 0.56 kg ha 1 atrazine uses 714 MJ ha_1. A single application of gly-phosate at 1.68 kg ha1 uses the equivalent of 763 MJ ha1. Flame weeding is considerably more energy intensive: a 50 kg ha1 propane flame weeding uses 2700 MJ ha1 (Ascard, 1995a). 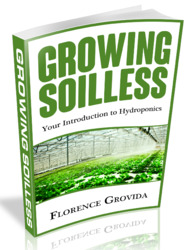 In contrast, herbicides that are applied at low rates probably require relatively little energy. Considering whole crop production systems, herbicides range from a significant proportion of the total energy input for Iowa corn (14%, Pimentel & Burgess, 1980) and Ohio soybean (13%, Scott & Krummel, 1980) to a minor input for Florida cabbage (1.6%, How, 1980) and a trivial input for Kansas wheat (0.15%, Briggle, 1980). These values would probably change little if mechanical management were used instead. When weed control represents a substantial energy input, however, some energy savings are possible with integrated systems (Clements et al.,1995).